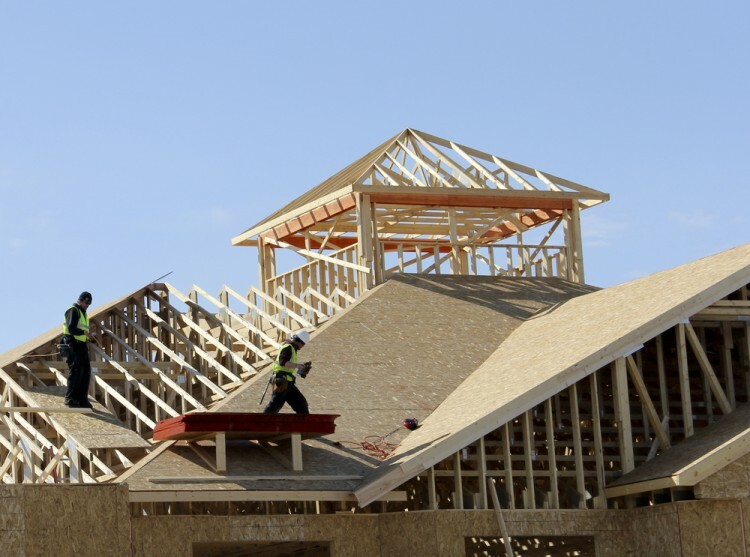 Is The Ceiling About to Fall On Beacon Roofing Supply, Inc. (BECN)? The worries about the election and the ongoing uncertainty about the path of interest-rate increases have been keeping investors on the sidelines. Of course, most hedge funds and other asset managers have been underperforming main stock market indices since the middle of 2015. Interestingly though, smaller-cap stocks registered their best performance relative to the large-capitalization stocks since the end of the June quarter, suggesting that this may be the best time to take a cue from their stock picks. In fact, the Russell 2000 Index has gained more than 15% since the beginning of the third quarter, while the Standard and Poor’s 500 benchmark returned less than 6%. This article will lay out and discuss the hedge fund and institutional investor sentiment towards Beacon Roofing Supply, Inc. (NASDAQ:BECN). Is Beacon Roofing an exceptional investment right now? Prominent investors are becoming less confident. The number of long hedge fund positions were cut by 7 in recent months. The level and the change in hedge fund popularity aren’t the only variables you need to analyze to decipher hedge funds’ perspectives. A stock may witness a boost in popularity but it may still be less popular than similarly priced stocks. That’s why at the end of this article we will examine companies such as MFA Financial, Inc. (NYSE:MFA), Primerica, Inc. (NYSE:PRI), and AMC Entertainment Holdings Inc (NYSE:AMC) to gather more data points. Heading into the fourth quarter of 2016, a total of 33 of the hedge funds tracked by Insider Monkey were long this stock, an 18% fall from the previous quarter. The decrease represents a quick turnaround from Q2, when hedge fund ownership shot up by 30%. With hedgies’ capital changing hands, there exists a few noteworthy hedge fund managers who were boosting their holdings considerably (or already accumulated large positions). 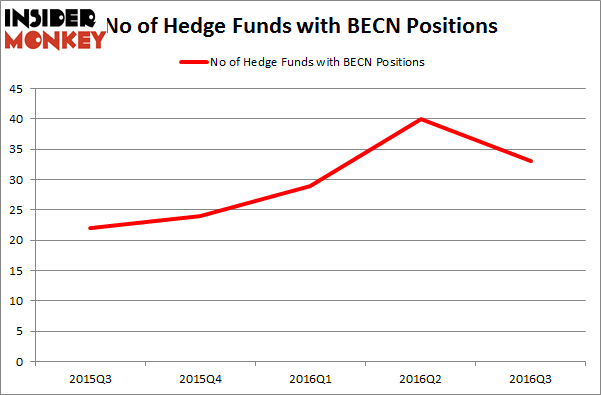 According to Insider Monkey’s hedge fund database, Fisher Asset Management, managed by Ken Fisher, holds the biggest position in Beacon Roofing Supply, Inc. (NASDAQ:BECN). Fisher Asset Management has a $72.4 million position in the stock. Coming in second is Citadel Investment Group, led by Ken Griffin, holding a $71 million position. Other professional money managers with similar optimism include Phill Gross and Robert Atchinson’s Adage Capital Management, Mariko Gordon’s Daruma Asset Management, and Israel Englander’s Millennium Management. Technically Speaking: Catalyst Biosciences Inc (CBIO) Beat The Bully, Breaks... Fate Therapeutics Inc (FATE) Stock: Soaring On Financing And EU Approval Is Apple Inc. (AAPL) A Good Stock To Buy? Nelson Peltz Remains Supremely Confident in Top Stock Picks Du Pont (DD), SYSCO... Should You Buy Mastercard Inc (MA)? Is Merck & Co., Inc. (MRK) A Good Stock To Buy?